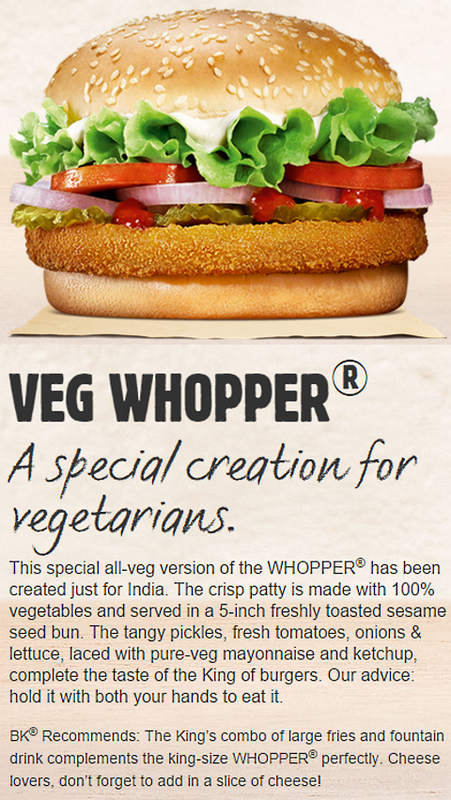 Chefs have been experimenting with innovative veggie burgers for a minute now, but this would be the first global roll out of improved vegetarian options we've seen from a chain. 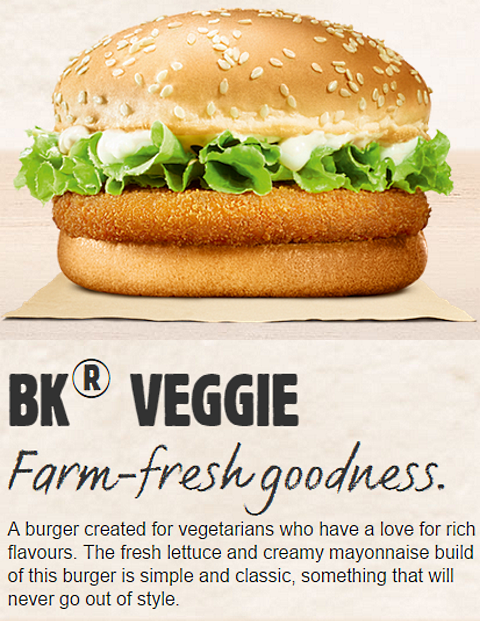 We’re not alone in hoping BK global management will consider bringing some of these options to the U.S. as well. 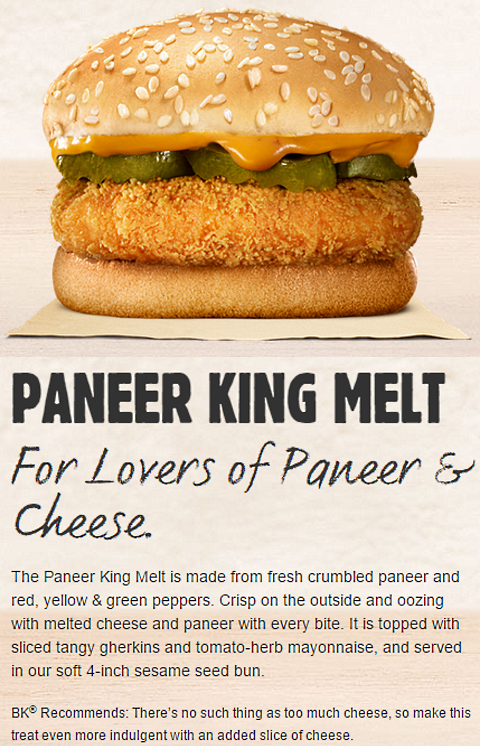 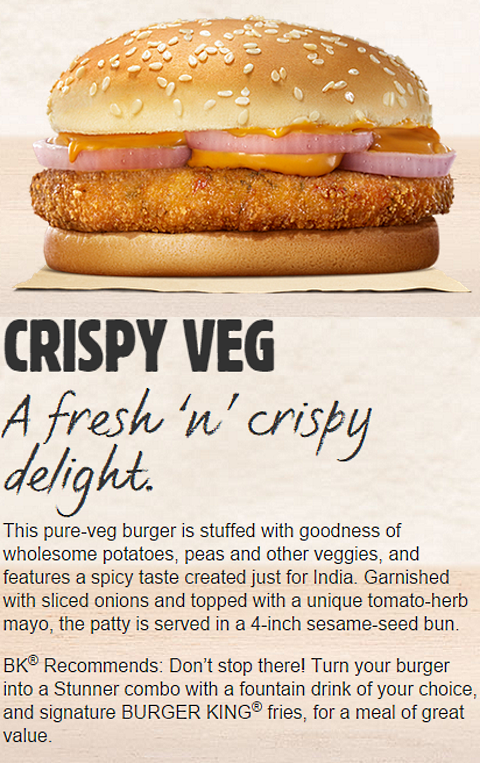 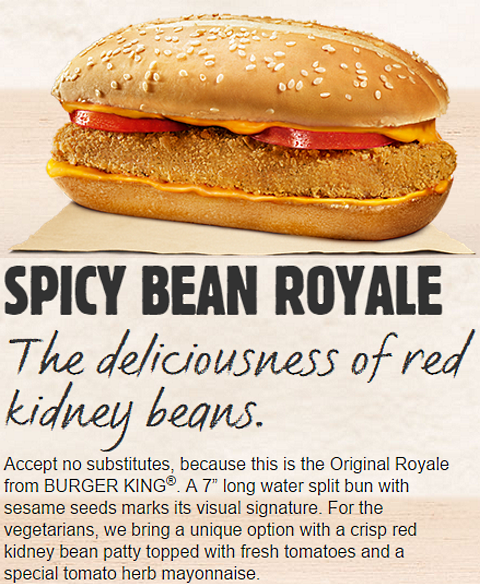 We think you’ll understand why when you take a look at Burger King India’s Paneer Melt, Chilli Cheezos, and more. 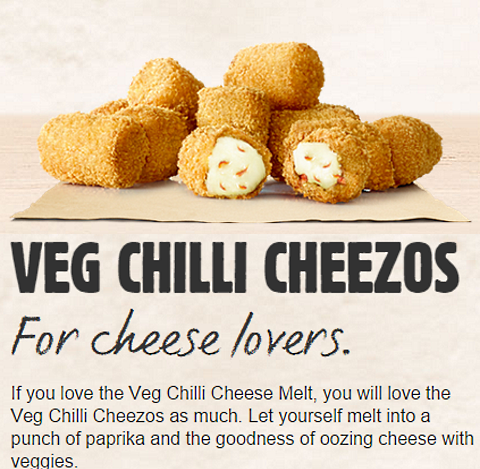 This basically sounds like the crispy Indian-style grilled cheese you never knew you wanted, but will be so glad when it’s in your mouth. 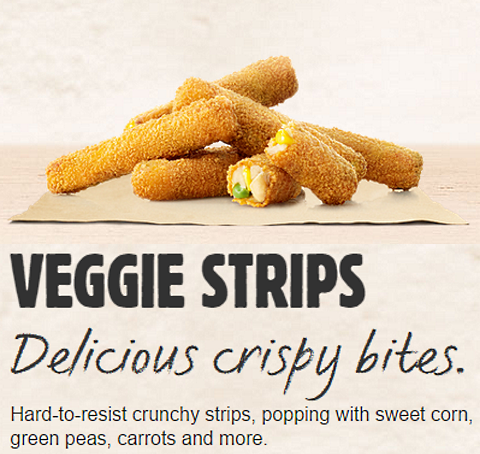 If you’re worried about the healthiness of all those vegetables, these deep-fried strips can help. 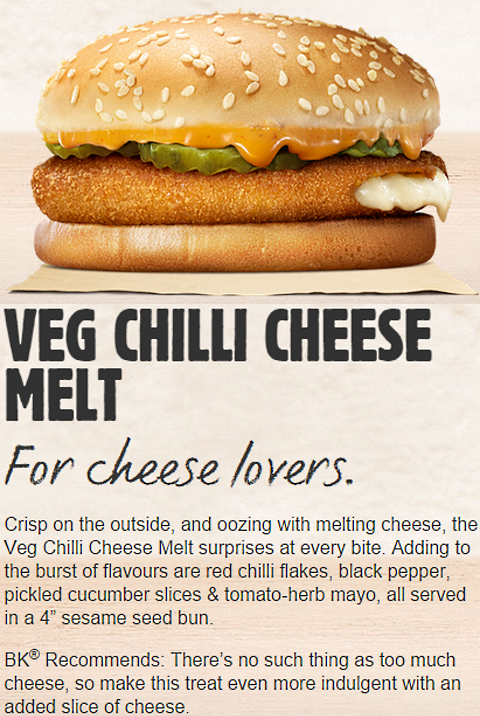 We’re drooling.